All the clothes are from Yes Boutique. The animal print trend doesn’t need to be presented anymore. I chose a different leopard print with blue and grey tones. It adds some originality so that you don’t get tired of the trend. My favorite part of this outfit is the corduroy trousers. The slightly wide, high waist cut of these pants, combined with the fabric, gives a retro effect that I absolutely love. 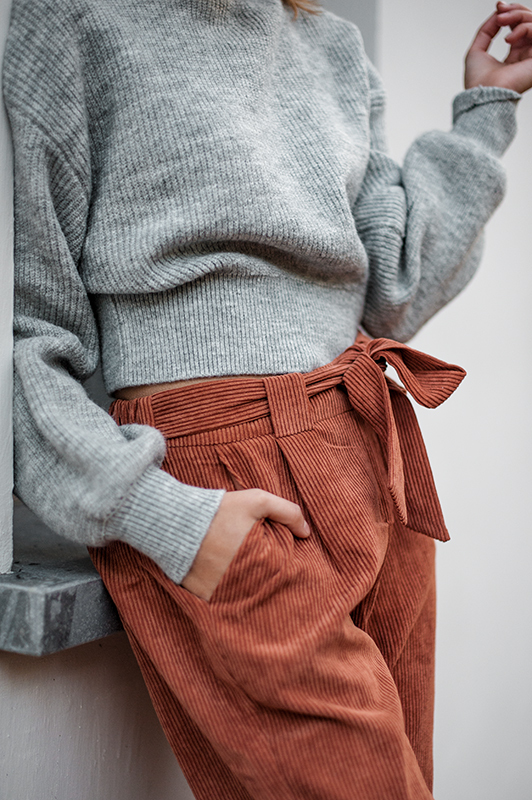 The fabric makes these pants super comfortable, which is perfect for cozy days. Then, I chose to wear a simple light grey high neck sweater. Since the jacket and the pants are already original enough, I didn’t want to overload the outfit and I wanted to keep a certain balance. We wear wide cut, high waist pants, with a simple skin-tight sweater, tucked in the pants. We add a jacket with a nice pattern to enhance the outfit! The teddy coat is the trend I like the most because it rhymes with comfort and warmth. Indeed, I am very sensitive to the cold! As much as I love creating nice outfits, in winter I need to be wrapped up in layers to keep me warm. That is why I particularly like this type of coats, with warm tones, that allows you to wear lighter clothes underneath, without getting cold when you go outside. Long teddy coats are my favorites! Here, I combined it with a crop top. Never would I have worn this outfit if I did not have this long coat to keep me warm. 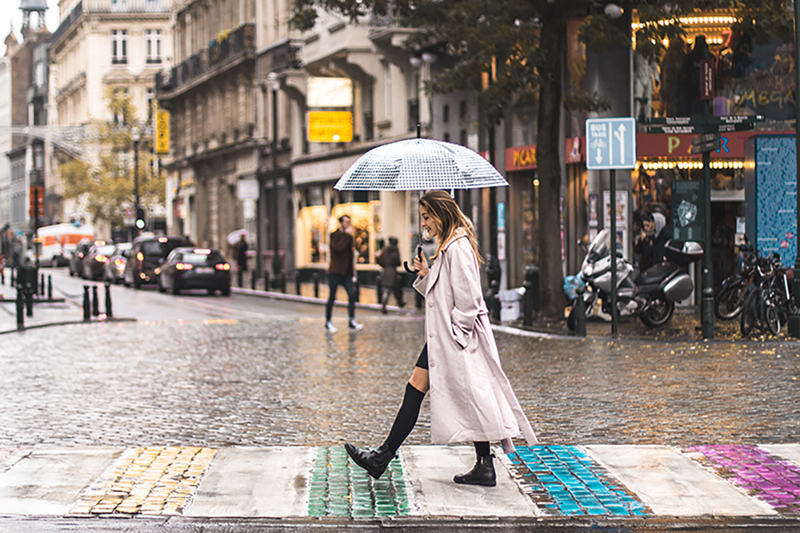 With a teddy coat, you can wear lighter clothes during fall (skirts/blouses/shorts) without being worried of getting cold. Camel is the perfect colour to make an outfit warmer. And you, what’s your favorite piece to wear during fall?